Posting Foster’s ‘Before’ photos as a reference, since at the end of this week he’ll be switched over to Purina Ultium and I should be able to start tracking his progress. Though the vet thought he was underweight, this photo was taken 2 days after the appointment, and I think while his topline and rear could be a little more buff, his weight looks fine. I think maybe he was just drawn up from the cold that day- it was 20 degrees colder than the day before. I’m not sure how much chunkier I really would want him to get. Here’s the photo that is most interesting to me. The two rectangles are the exact same size, centered according to the point of his croup. Looking at this, it’s obvious that Foster’s left side really is less developed than his right. So even though that left hind is stronger than it was a year ago, there is obviously a lot of room for improvement in the muscle tone there. 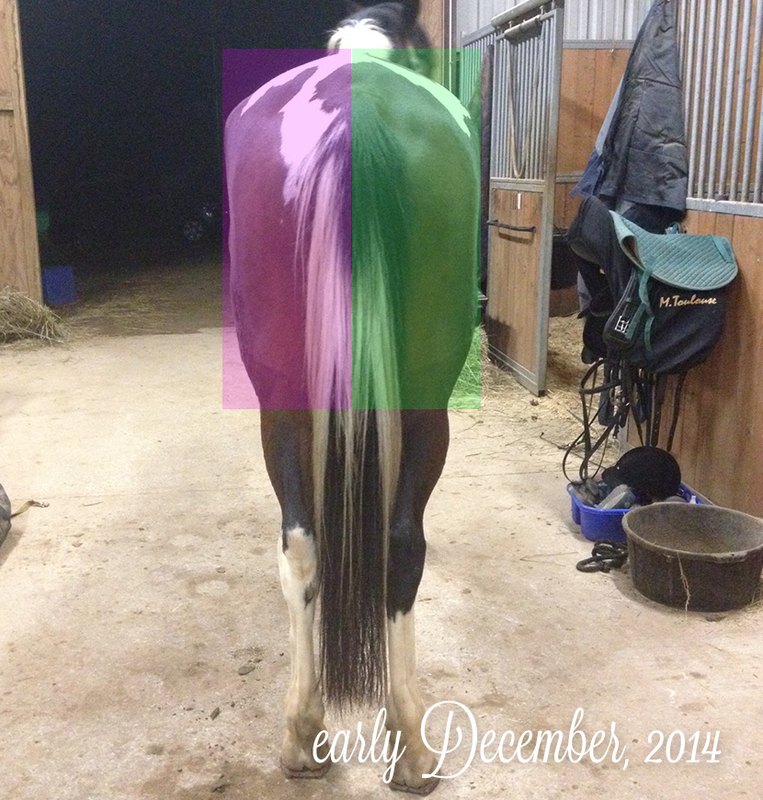 If the theory holds from this diet experiment – better nutrition/vitamins > more muscle development > stronger left side > straighter traveling horse > no more haunches falling to the right. Will be repeating this process in a couple weeks to see where we are! 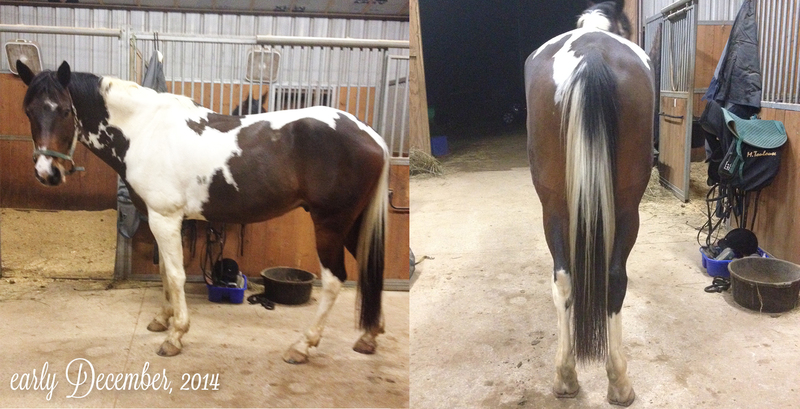 The vet doing the evaluation commented on his underdeveloped left side- and I thought this would be helpful in really seeing the difference! I find handedness and asymmetry SO fascinating in horses. Have you noticed a similar asymmetry in yourself? 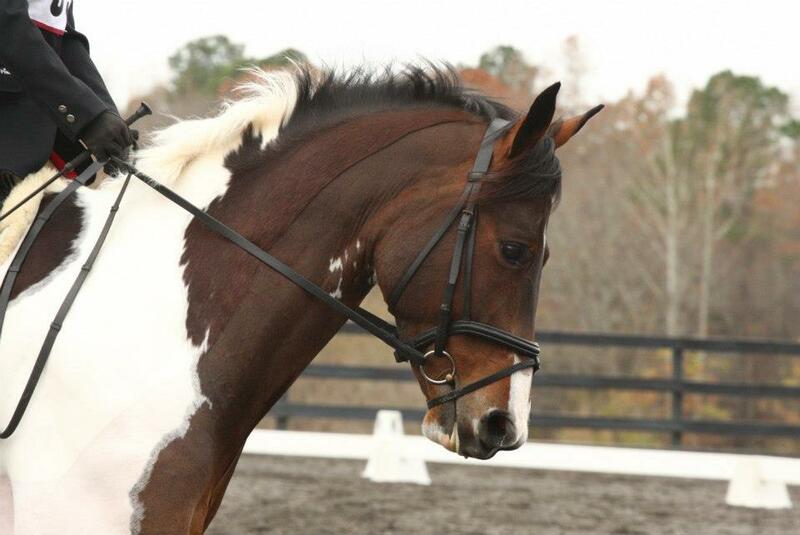 My dressage trainer recently had me start really thinking about where my weight is in the saddle and how I’m using it, and encouraged me to use my weight to push my horse over on both sides; instead, what I was doing was pushing with my left seat bone going left and trying to “pull” with that same seat bone going right. I’ve been trying hard to correct my asymmetry and M is NOT impressed, but it will be better for both of us in the long run. Haha, I am so asymmetrical I even blogged about it! I could definitely benefit from paying more attention to which seat bone I weight though- thanks for the idea, I’ll pay attention to that the next ride! You have me looking at Pig’s feed to see if I could increase his protein content. He’s on a pretty okay balance of feed, but it’s not allowing him to build topline as quickly as his workload should have him putting it on. I love the idea that if this theory regarding muscle and diet is correct, then I’ll be able to really see the results! I like how you did that rectangle comparison. That’s nifty. this is really interesting – i’ll be eager to see how it all unfolds. my mare isn’t working at nearly the same level – but we’re still seeing less muscling than would normally be expected…. Love before pics, looking forward to more transformation! That’s a very interesting perspective [from the last picture]!